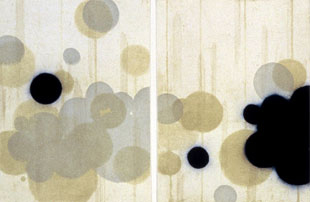 Seiko Tachibana, Origin-Metamorphosis-4p-1, 2005, intaglio, 22 x 48 inches. Artwork is part of the Alameda County Art Collection: Artwork Created by Alameda County Artists. Photo: Sibila Savage.